Assist students with any emotional struggles, especially in times of crisis. Follow our standards for documentation of all counseling sessions. Demonstrates a commitment to honesty, loyalty and excellence. Ability to work well with students, parents and staff. Understanding of leadership and how to lead in a positive manner. Encourage, challenge students to redirect destructive behavior patterns into positive and productive goals. Work with leadership and staff in helping each student develop a strong Biblical foundation. Experience working with troubled persons who struggle with life-controlling issues and their families. Must understand the practical application of Biblical principles. 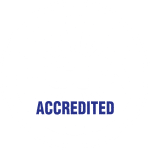 Previous training and experience in Christian counseling.